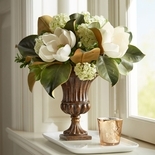 Thomas Jefferson noted planting magnolia in his earliest garden notations and they continued to be a feature in his planting schemes throughout his life. 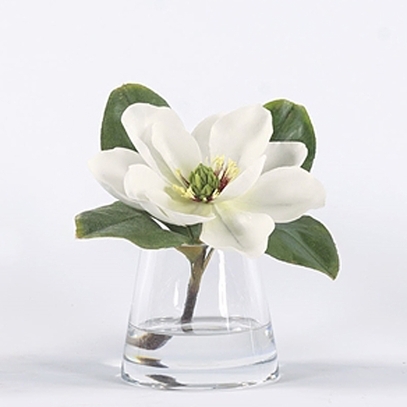 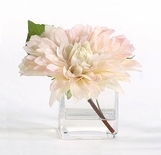 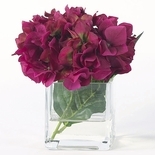 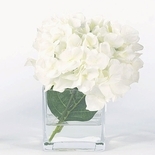 Our large lifelike magnolia blossom is showcased in a glass vase with acrylic water. 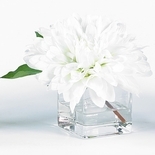 Approximately 7�h x 8 ��w.